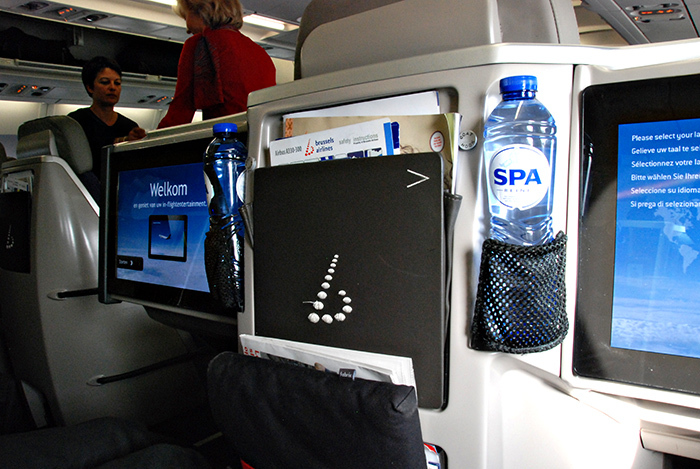 Two weeks ago, Brussels Airlines invited us to fly to New York with them. 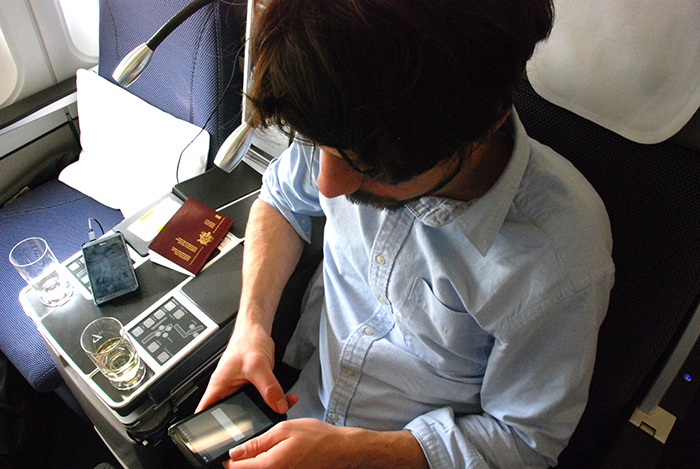 In Business Class. We’re not even going to pretend that we weren’t jumping up and down with joy, of course we were! 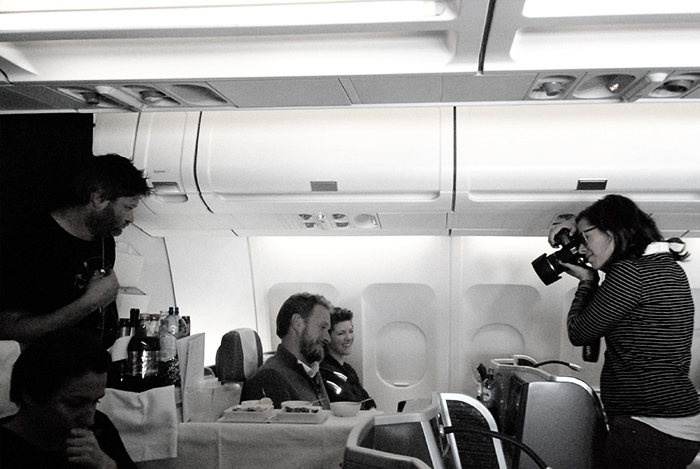 Isn’t it a fantasy of many travel addicts to fly business and enjoy all the perks? We made a few calls to clear our schedule, packed our laptops to do a little work on the road and said a big “yes” to jetting off to New York. Now the trouble is… it was awesome. 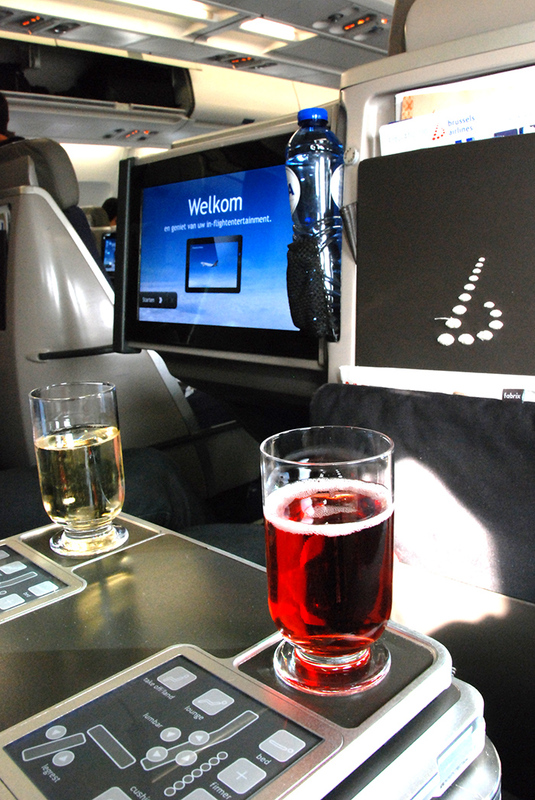 Fast lane access, the Sunrise Lounge in Brussels Airport, the Lufthansa lounge in JFK, the complimentary food and drinks, Wi-Fi… And then I haven’t even started to describe the experiences on board. You sort of never (ever) want to go back. 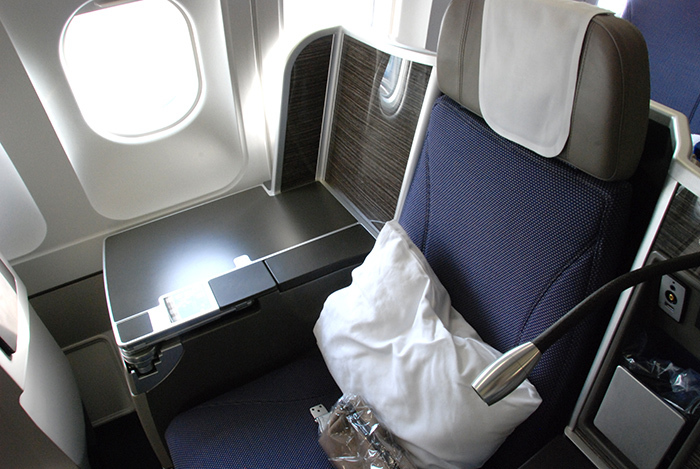 You see, flying Business Class makes traveling so much easier and definitely a whole lot less tiring. Peace and quiet before you take off, extra leg space and full-flat beds during the flight, not having to queue and healthy food make a huge difference. 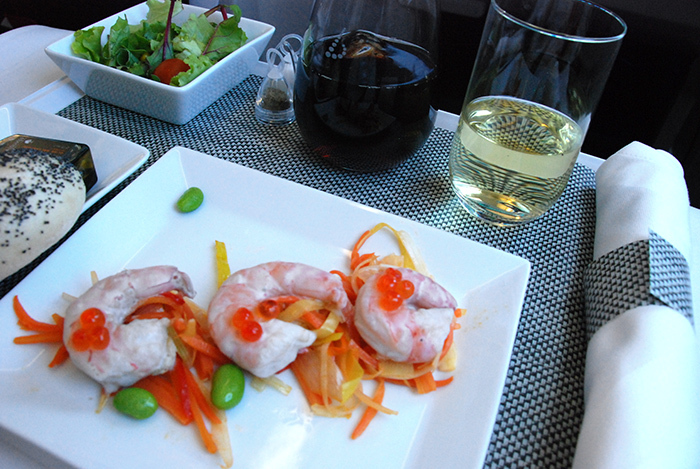 On their long distance flights to the USA and Africa, Brussels Airlines currently serves dishes that have been carefully selected by Belgian Star chef Julien Lahire (he was on our flight!) until July. 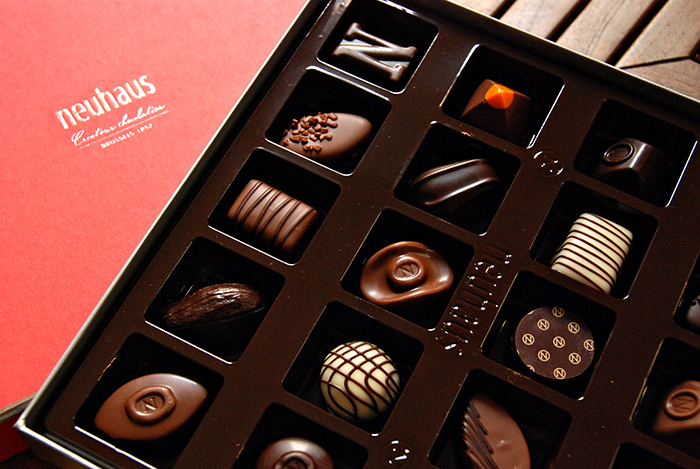 This fits in perfectly with Brussels Airlines’ habit of endorsing Belgian talent and products, a great tradition if you ask us. The national airline truly is an ambassador for our country. Also worth noting: for people with food restrictions or allergies there are 21 special meals available. If I had to name one negative thing, it would be that the flight to JFK isn’t long enough to enjoy all the different amenities. After our three course meal, I really couldn’t help exploring the in-flight entertainment, which left too little time to truly enjoy that full-flat bed I’m talking about. 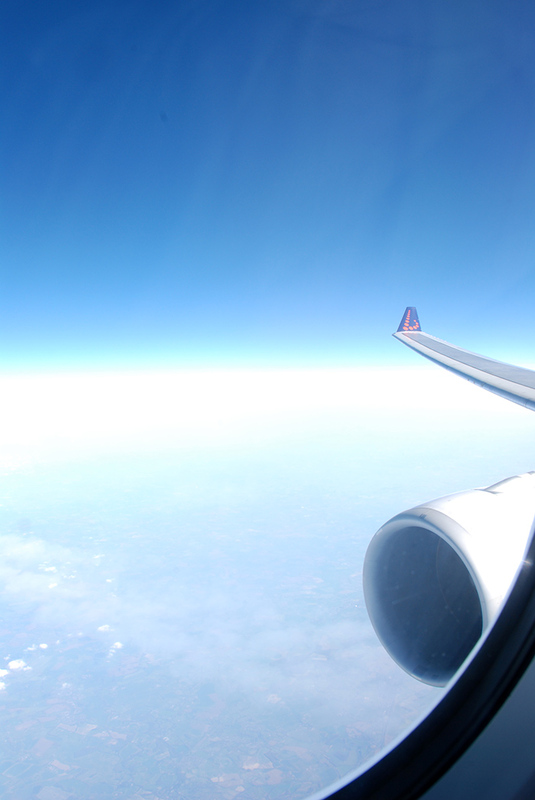 All joking aside, this was the most amazing flight I’ve ever experienced. I hope there will be a point in my life when I can travel Business Class. But before we arrive at that point, a non-stop flight already makes a huge difference in comfort, one that from now on I’d definitely pay a premium for. No, I’m not jealous….. Nice opening for this new epic website. yup, no way back. ever. It’s true what they say: once you go business, you never go back (but unless you win the lottery or something, you kind of have to). Een keertje business naar Thailand gevlogen, nog nooit zo goed gechilld! Heeeeerlijk.